RV Village Camping Resort is centrally located in Mercer, PA, near the junctions of I-79 and I-80. RV Village is midway between Erie, to the North, and Pittsburgh, to the South, and only a short distance from Youngstown, Ohio, to the West. 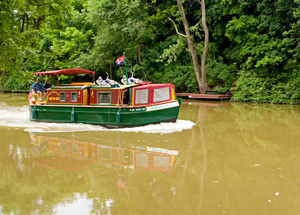 Many fine Western Pennsylvania attractions are easily accessible, including Shenango River Lake, the Greenville Railroad Park, and the many attractions that Mercer county provides. 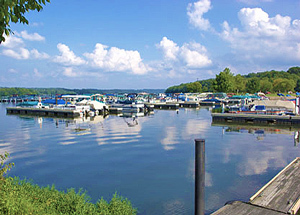 Situated within the suburban Shenango Valley, Shenango River Lake provides an attractive setting for your enjoyment. Visitors choose to spend their day picnicking, camping, or enjoying nature’s beauty. History buffs will enjoy exploring the remnants of the Erie Extension Canal, sections of which are located on project property. The museum documents the complete history of the Erie Extension Canal. A full-sized 40-foot canal boat replica, a model grist mill, and other period artifacts are featured. A miniature working model of a lock educates visitors about the workings of the canal and its civil engineering. 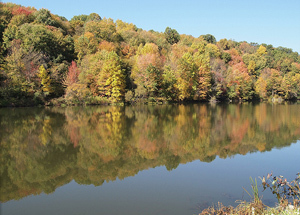 The 2,856-acre Maurice K. Goddard State Park features the 1,680-acre Lake Wilhelm, which is very popular with anglers and boaters. Many recreational activities attract visitors in all seasons. 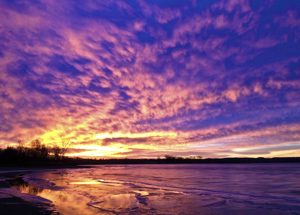 The large lake, abundant wetlands, old fields and mature forests provide a diversity of habitats for wildlife, especially waterfowl, eagles and ospreys. The McKeever Environmental Learning Center is folded into a natural wooded setting about 75 miles north of Pittsburgh, Pennsylvania near Sandy Lake, Mercer County. Four miles of trails meander through hardwood forests with streams, meadows and hemlock ravines that are open to the public sunrise to sunset every day of the year. 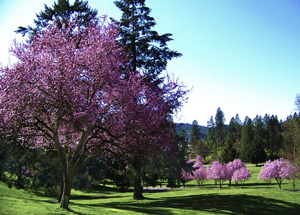 Designed for year round beauty that changes with the season is Hillcrest Memorial Park. With an extensive landscape, including many varieties of trees and shrubs, spring blooms, summer annuals and fall color, all encased in rolling greenery, this cemetery is a unique addition to the community. The original Wendell August Forge facility was a historic landmark in Mercer County, Pennsylvania. It is the last remaining working forge in the state. 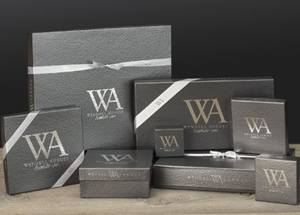 Wendell August was the first to use the repoussé process of manufacture, and has operated near Grove City since 1932. It produces a variety of merchandise uch as bowls, figurines and ornaments,as well as commemorative items. Mercer County Bridge No. 1801 is on the National Register of Historic Places. This is Mercer County’s only remaining covered bridge and is located on Township Road 471, approximately one half-mile east of S.R. 18, in Pymatuning Township, Mercer County, Pennsylvania. 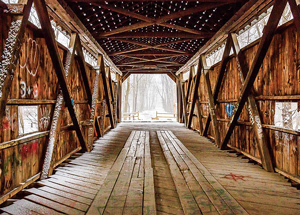 The bridge is situated in a rural area and spans the Shenango River. 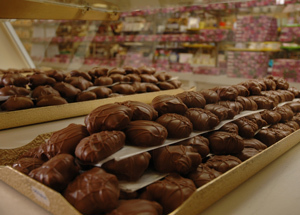 In addition to offering its regular line of yummy chocolates Daffin's provides gourmet chocolates through its Jean Marie Collection. This scrumptious collection offers unique hand-molded chocolates with extra special insides containing such things as whole nuts, truffles and their famous Opera Cream. Who are the Amish? Are they the same as Pennsylvania Dutch? The Amish are a religious group who live in settlements in 22 states and Ontario, Canada. The oldest group of Old Order Amish, about 16-18,000 people live in Lancaster County, Pennsylvania. 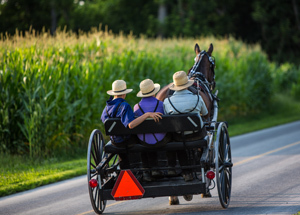 The Amish stress humility, family and community, and separation from the world. The Park was started in 1985 by volunteers interested in preserving and promoting Greenville’s railroad history. 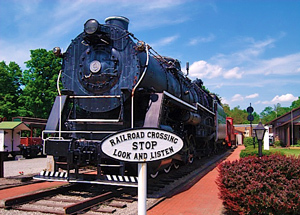 The Bessemer Railroad donated the 1936 steam engine, an iron ore car and caboose #1985. 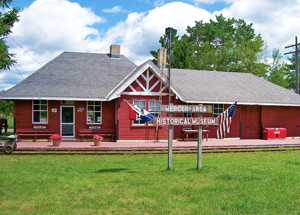 Over the next few years, volunteers built the museum building, the operator’s office/gift shop, the speeder shed, the maintenance shed and completely landscaped the grounds. Take a hike or rent a trail buggy and explore miles of historical, environmental and wildlife trails. See beaver dams, deer, wild turkey and try bird watching. 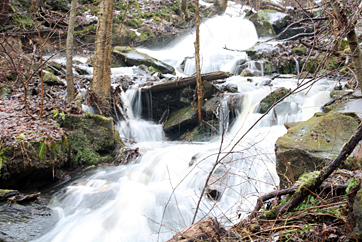 Explore waterfalls, and one of Mercer County’s first iron ore furnaces. The facility is located next to Spring Valley Golf Club and Lodge, with registration and parking for the trail at Spring Valley. Kraynak’s was established 1949 in Hermitage, Pennsylvania, the main retail store which is the home of Santa’s Christmasland and Easter Bunny Lane. These walk through displays have become a tradition for many families. 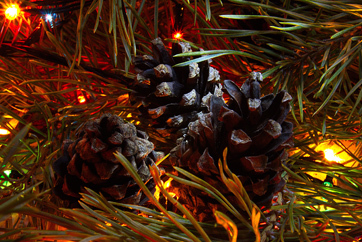 This location sells Christmas and Easter decorations, toys, gifts, potted plants from the greenhouse and fresh cut flowers from the floral department. The world's largest shoe store. Wide variety of styles, sizes and brand names. With selections from over 300 famous designer and name brands, Reyers carries over 150,000 pairs of shoes in stock, in every size, style and color imaginable. Check out the web site for more details. With 130 outlet stores, find impressive savings at Adidas, Ann Taylor, Banana Republic, BCBG Max Azria, Brooks Brothers, Calvin Klein, Coach, Gap Factory Store, J.Crew, Nautica, Nike, Nine West, Polo Ralph Lauren, Tommy Hilfiger and more.